Our group of 12 retired colleagues and friends eat out at least once every 4 or 5 weeks in Glasgow City Centre. 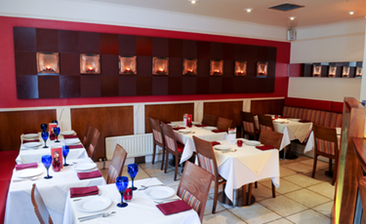 As the group organiser I chose to use 5pm.co.uk to book a special deal at the Ashoka West End. £16.00 for a starter, main course and 2 alcoholic / soft drinks. The food was absolutely delicious, cooked fresh, served hot and by very efficient and friendly staff. Everyone agreed (8 of us that night) that the night was a success and that we would certainly return soon. Thank you Ashoka West End. Lovely night.